Dimensions: H21.6 x W21.6 x D9 cm approx. 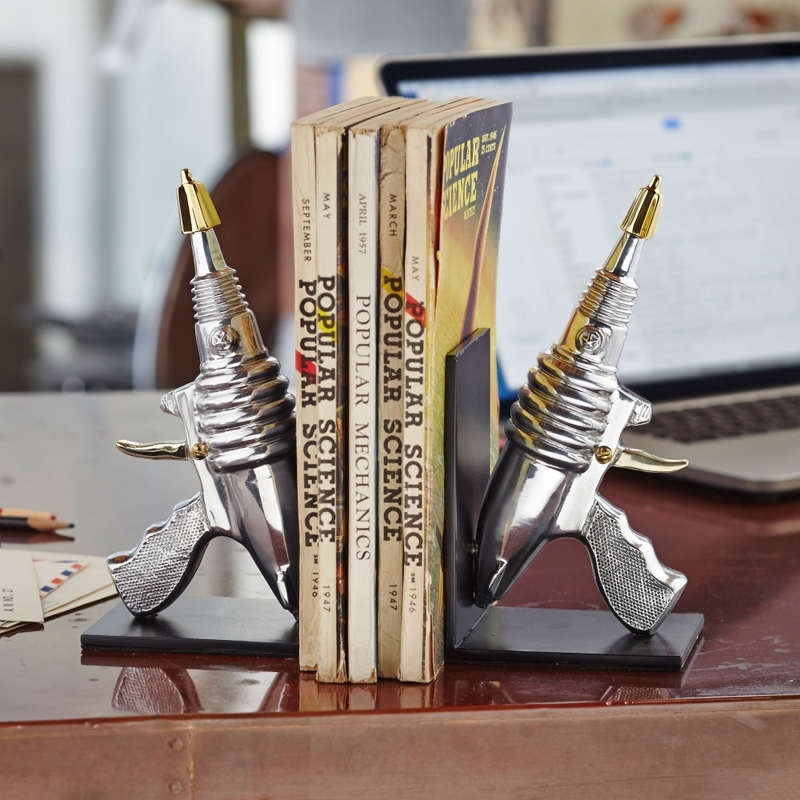 Zap your way through your favourite sci-fi novels with this pair of Ray Gun Silver and Gold Bookends from Pendulux, to organise your collection. Made from polished cast aluminium and trimmed with brass, these ray guns will be secured for posterity by the heavy iron base plates. These thrilling bookends are a perfect gift for the space fan in your family or sci-fi comic buff at work. The small team behind Pendulux bring together a love of the historical, functional and beautiful in all of their designs, handcrafting unusual clocks and other objects taking inspiration from the past. This collection evokes iconic time periods and destinations throughout history, creating new products but in the style of antique time pieces and machines.